Xiaomi’s First Global Launch in India: i IS COMING! Home > News > First Global Launch of Xiaomi in India: i IS COMING! First Global Launch of Xiaomi in India: i IS COMING! Xiaomi announced its Global Mi Phone Premiere event in New Delhi, India on April 23rd recently. 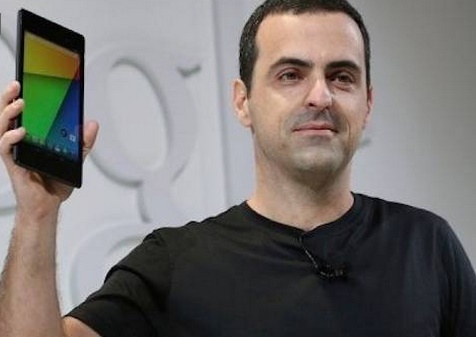 Well along with its smart phone, Hugo Barra, the ex-Google executive the company has been one of the prolific things for company especially after the way he has handled the responsibility to take care of the international market, Xiaomi has looked like a completely different company. It was under him that the expansion to India took place… a market that Xiaomi now calls its second home. Earlier after patent issues and the subsequent ban imposed by Delhi High Court, it appears that company has found its way out and is now gradually more at ease outside its comfort zone of China. Mega event which will take place in national capital will host three of the biggest Xiaomi guns in Bin Lin, Lei Jun and Hugo Barra. It’ll mark Xiaomi’s first ever global launch, and it’ll be the Indian capital of New Delhi where it’ll all take place. The Official Mi India twitter account has just shared an invite, which reveals the upcoming Xiaomi smartphone will be a global device. The invite picture says, “i is coming. Global Mi phone premiere in New Delhi.” ‘i IS COMING’, which although doesn’t make grammatical sense, could mean that Xiaomi launches an all new series of products at the event. It could also be the launch of perhaps a new-gen Mi series phone or maybe an altogether surprise launch of the successor to their first tablet- the Redmi Note 2. Xiaomi is also giving Mi Fans a chance to attend the premiere with a free ticket. 10 fans will get privileged access to the premiere and an exclusive session with Hugo Barra. The registration page Witness the first global launch with Mi, so we can expect something big. This is the first time Xiaomi has scheduled a huge event in India. CEO & Founder Lei Jun, President & Co-founder Bin Lin, and VP Xiaomi Global Hugo Barra will be there at the premiere. Attendees who register at the event will get a free goodie bag and a surprise gift, says the company. Well, with almost less than 10 days to go, there is lot of buzz and excitement around this major event. Can’t wait to check out what Xiaomi has to offer this time around! Xiaomi welcome to make in India. Make your manufacturing hub here. Your future is very bright among enthusiastic young population of India, which will give u more business than China.